Celebrate National Strawberry Month in VB! It’s springtime in Virginia Beach, which means that all around our farming community of Pungo, ruby-red speckled rows of strawberry vines stand ready to be explored, and we are up for the tasty task. Strawberry-picking season has finally arrived, and we’re filling our baskets with nothing but the sweetest, juiciest berries we can find. This May, join us in celebrating National Strawberry Month with our top picks for strawberry-themed fun! With 16 you-pick farms, there is no shortage of places to pick. For tried and true local favorites, stop by Cullipher Farm or Henley Farm, or head out for an enchanting day in the fields at Flip Flop Farmer and Flanagan Farms. Pungo happens to be a favorite spot for finding cocktail inspiration. Local, fresh strawberries mixed with locally-crafted spirits make for a seriously refreshing cold one after you return from a day in the strawberry fields. 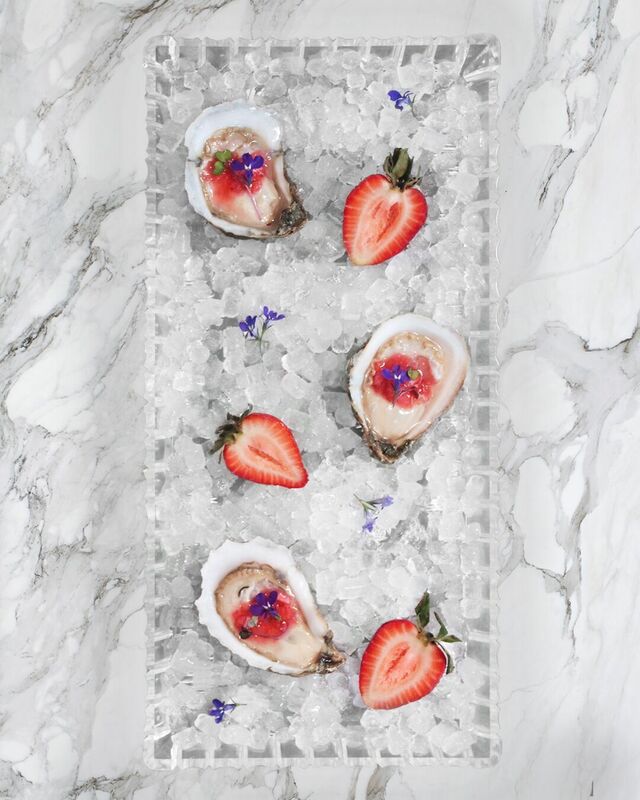 We didn’t want to be shellfish, so we wanted to share Pleasure House Oysters&apos; home-made strawberry mignonette. The sweet and sour topping pairs perfectly with the salty zing of Lynnhaven Oysters for a delicious bite that is pure VB. Combine and mix well. Store in refrigerator until right before use. If this sounds like strawberry overload (as if that’s even possible), fear not. Fresh picked strawberries can be vacuum-sealed and frozen to enjoy delicious local strawberries any time of year! Pick a few extra pales this month and bask in the glory of Pungo in Spring. You’ll be berry glad you did.